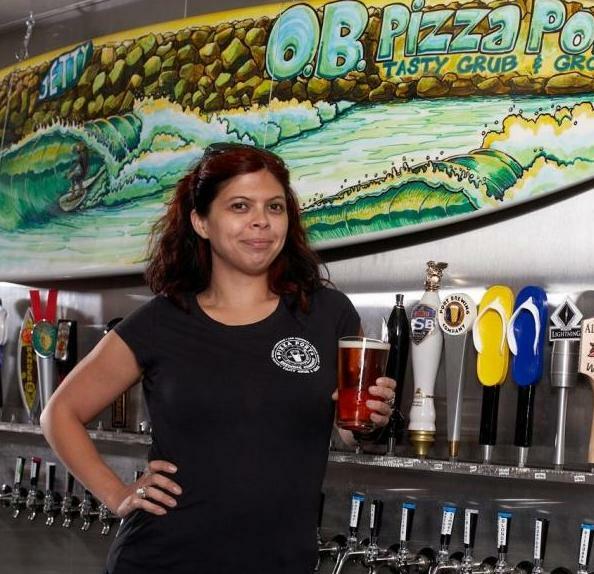 Pizza Port OB Bar Manager Micaela Cano. From their website. 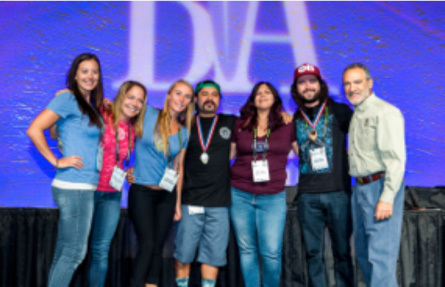 Pizza Port Ocean Beach took home a pair of medals at the Great American Beer Festival over the weekend in Colorado. The Bacon & Eggs – a Breakfast Coffee Imperial Porter took bronze in the Coffee Beer category and the Guillaume Belgian Blonde took brought home another bronze in the Session Beer category. It’s the second year both beers have taken home medals. The Bacon & Eggs previously won a gold medal in the coffee category. Pizza Port crew at beer competition. “I am so happy to be a part of this team,” said Pizza Port OB Bar Manager Micaela Cano. 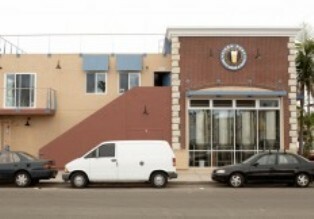 The OB location has 15 barrels at its brewery and restaurant at the corner of Bacon Street and Santa Monica Avenue. It took home the two awards last year and three medals in 2013. It was also named Small Brewpub of the Year in 2011. Cano gives credit to acclaimed head brewer Ignacio “Nacho” Cervantes, who also won Brewer of the Year in 2011. From personal experience, it’s never too early for a pint of Bacon & Eggs, although at 8.5 percent ABV, it’s best to show a little restraint. One of the best deals in town is the Pizza Port lunch special, which includes a slice, salad and soft drink for $6 – with an option to upgrade to one of their signature beers for just a few dollars more. The Pizza Port family – with five locations in OB, Solana Beach, Carlsbad and San Clemente – has won a number of awards throughout the years. The Carlsbad location was named Large Brewpub of the Year at the 2011 GABF and the Solana Beach location won Small Brewpub of the Year in 2003 and 2004.